The 49th edition of Earth Day, the annual international event that aims to educate the public about the environmental threats to our world and effect change through public policy campaigns, will take place on April 22, 2019. Of course, while there is much work already being done to protect the environment, as celebrated at BOAT International'sOcean Awards each year, the danger is far from over – do your part by attending a charitable Earth Day event, shopping with the fashion and beauty brands helping save the oceans and beyond. 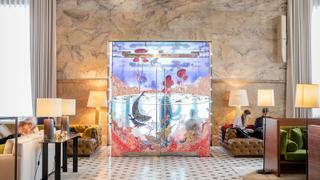 To mark Earth Day 2019, the London Edition hotel has teamed up the The Earth Issue magazine to host an installation by Indian artist Svabhu Kohli. Created from a sustainable and recyclable alternative to vinyl, the installation will be accompanied by a week-long programme of talks, workshops and wellness sessions. 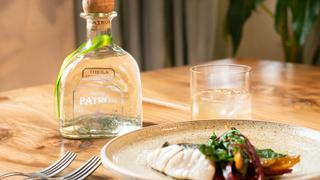 As part of its ongoing environmental and sustainability commitments, tequila brand Patrón will be hosting a Cocktails with a Conscience evening at London members club The Conduit on April 24. Guests will be taught how to create sustainable cocktails using everyday kitchen waste before sitting down to a three-course meal by chef Merlin Labron-Johnson. 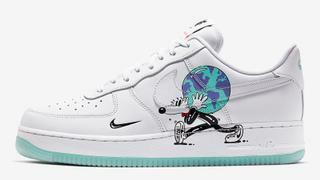 Nike is joining forces with illustrator Steve Harrington to offer limited edition versions of three of its best selling sneakers this Earth Day. The Air Force 1, Blazer Low and Cortez in Flyleather - a material made from 50% recycled fibres - will each be adorned with a planet-themed artwork in Harrington's signature quirky style with mismatching purple and green detailing. Available from April 22. While it may not be taking place until June (to coincide with World Oceans Day), Earth Day is the perfect reason to register for BOAT International'sOcean Talks. 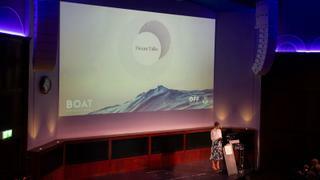 This year's key speakers include sailor Dee Caffari, WWF marine scientist Dr Dominic Andradi-Brown, Frederikke Magnussen of the Ocean Family Foundation and A Plastic Planet and yacht designer Steve Gresham. Better yet, it's completely free. Register to attend Ocean Talks here. 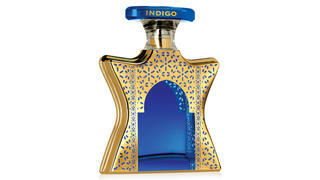 To mark Earth Day, American fragrance brand Bond No. 9 will be offering customers a free refillable pocket spray with every purchase as part of its Recyclable scheme to reduce packaging waste. This Earth Day, trade in your old, used nail polish for safe disposal and receive 50% off Zoya’s toxin-free natural nail polishes. 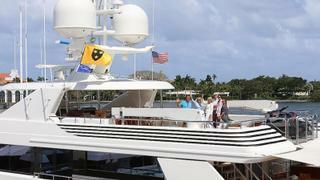 Show your commitment to the oceans and environment when on board by investing in a Passion Sea flag for your yacht. Created by NGO Passion Sea and sold to support its ongoing mission to save the world's oceans, flying a Passion Sea flag signals your respect for the oceans and willingness to do your bit to fight the crisis happening within them.